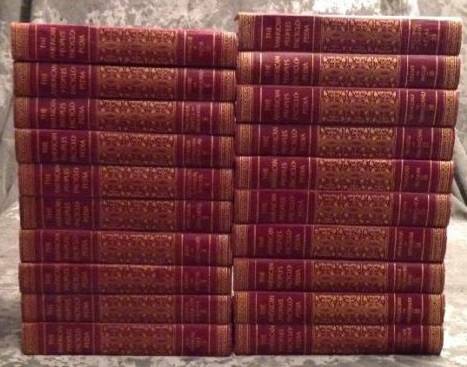 1988 Set of World Book Encyclopedias;great set of information. 22 Book set but Missing book #8, #10, and #19. Former library set but not circulated. There is minor shelf wear on hard cover edges. Overall a great set of information and very nice looking blue and red books as well. Or use for scrapbooking or art projects. 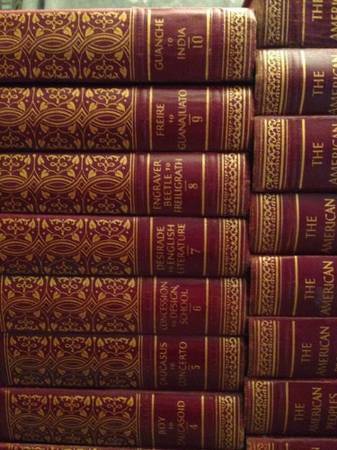 "THE AMERICAN PEOPLES ENCYCLOPEDIA" 1954 EDITION COMPLETE 20 VOLUMES SET. Prop for Photo/ Film/Video. Retro decor accessory. 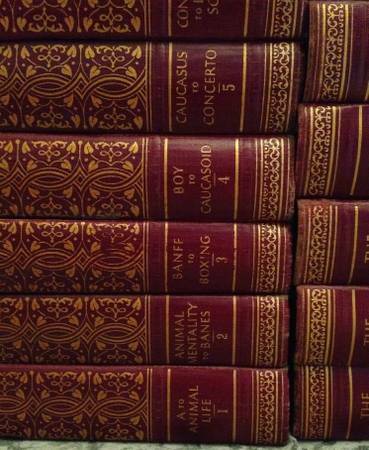 A complete set of 1954 VINTAGE 20 volumes of The American Peoples Encyclopedia. 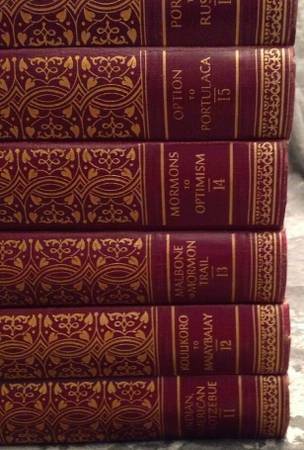 These are all hardcover set in very good condition considering their age! They have the usual wear and tear that one would expect, but overall show very little use! 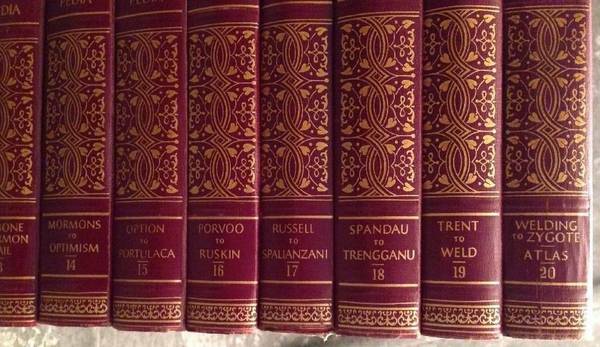 It is a striking set of books; very decorative in red with gold lettering and design. Especially for how old they are, they have minimal wear and are still in Very Good reading condition. An excellent addition to anyone's library collection. Book ends are not included. $150. AVAILABILITY: If you are reading this, it is still available. SERIOUS Calls only. Use the Reply button for phone number. PICK UP LOCATION: North Branch is 45 miles/minutes north of Minneapolis-St. Paul,MN on I-35. MEETING: NO. Meeting at a specific time and place is a problem, especially with the road construction, traffic jams, missed connections, etc. DELIVERY: $1/mile;$50 minimum. Payment required for item and shipping before delivery by cash or PayPal. (NO checks, money orders, cashier checks). I do not deliver on "speculation" in case you change your mind or it isn't the right color, style, size. Call for charges and options. To View More Items And Pictures And Prices I Have Listed On Craigslist -- Click the box on the right side of the picture that reads "MORE ADS BY THIS USER" -- a whole picture list will show up on your screen with descriptions and prices.